If you’re tired of your boring walls and wanted to give it a makeover but at the same time, you don’t want to paint it, maybe this can help you solve your problem. In a world that everything is instant, it’s not a surprise that even the designs of your walls would also come in handy. 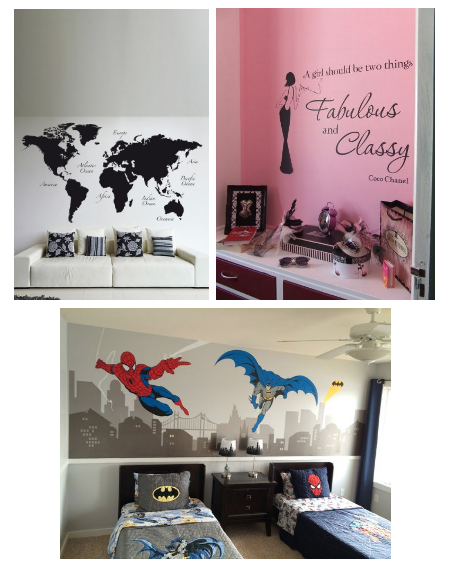 There are various ways in decorating your room like a pro and these wall decals could be your home-improvement hero. These decals are not just limited to the kids. It doesn’t need any age for you to be able to choose the right decals for you. But how would you exactly choose the suitable wall decoration for you? Here are the simple steps that you may want to follow when you’re searching for the decals that could change the ambiance of your house. Have a list of concepts that you wanted your house to look like. You can look for the photos on the internet and out of those photos, you can recreate your own design to make it more personalized. If you already have your own family, you can gather them in your living room and ask them their suggestions. Your kids might have a cartoon character that they love or your teenager might want to keep it minimal. It’s important to keep the family involved throughout the process. If you think that these decals are just limited to the walls, you might be happy knowing that you can also do this on your dull staircases. You can redesign it similar to the following photos. When it comes to bedrooms, just let your children plan the themes that they want. It can be related to Disney princesses, Marvel heroes or if what are the places they wanted to go to in the near future. Think of the concept that is connected with the personality of each family members. By doing this, you will be able to know what is the prominent design that matches everyone in the house. 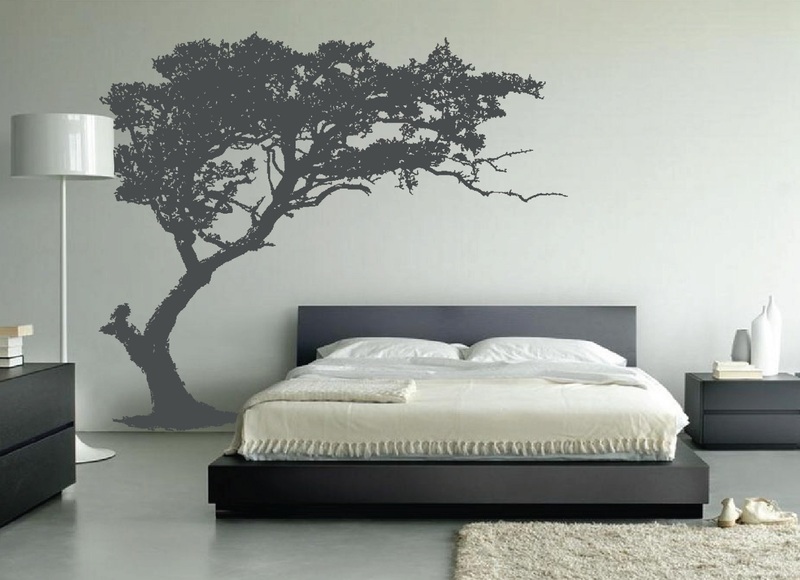 Before buying the right decals for your house, you should already measure the wall where you will paste the decals. If the wall decals won’t match with space where you wanted to put it, it will just put into waste. You may ask why. It’s simply because the price varies with size. The length or height of the decal should at least fit your wall size. It should not be too small or too large that it will affect the layout that you’ve chosen. Incorporate the basic principles of interior design as you go on with the process. What are these principles? There should be a balance. As mentioned, the size of the decals and the wall matters. If the two won’t get along with each other, it will break the sense of equilibrium. There are three kinds of balance, namely: Symmetrical or formal, Asymmetrical or Informal, and Radial Balance. To achieve balance, you can use the other basic principles of design which is Proportion and Scale. The proportion is the balance among the designs while the scale is the size of the objects. It’s suggested that there should be proportional in terms of colors, texture, shape, light, and space. 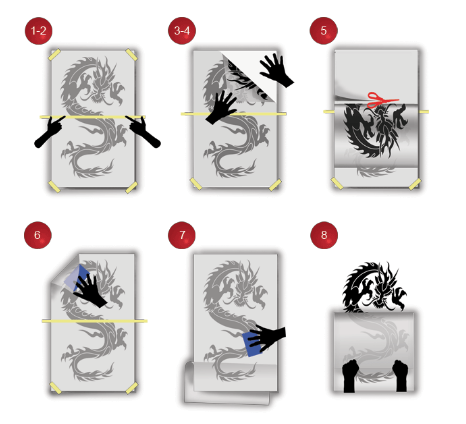 Along with the deciding on what concept you will have, you should also have the list of the kinds of decals you will going to use. You should make sure that it won’t affect the overall design of the room. If you’re planning to make it more minimalistic, just go with the usual decals. You don’t need to use everything. 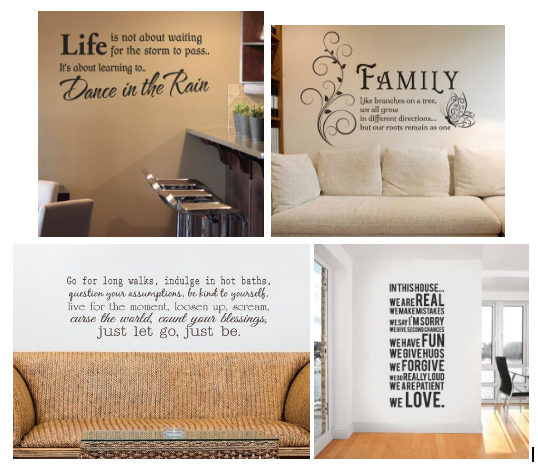 Choose the right kind of decals you’ll apply on your wall. There are types of decals that are safe and you should avoid to buy. It is important that you know the kind of materials that were used in making the product. Most especially if the place where you will stick it is for infants and kids. You should make sure that the decals that you will be buying are non-toxic. Some decals might last and others might not. Reduce your usage of polyvinyl chloride (PVC) or vinyl to keep your kids away from toxic. Identify the materials used on your wall decals by checking its label first before purchasing it. 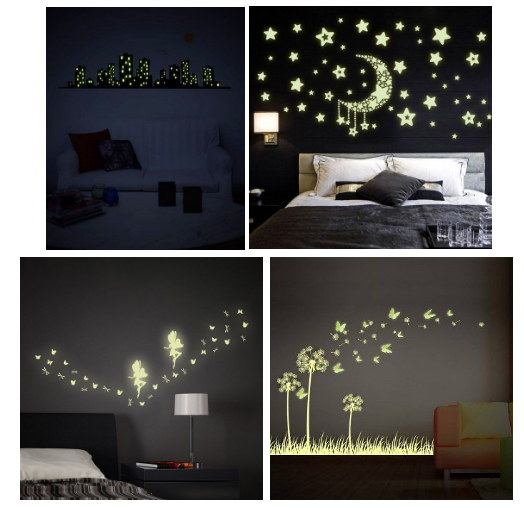 These wall decals could be your savior when it comes to beautifying your dull walls. Only, if you know the right product to purchase. There are still inexpensive decals that won’t fail you when it comes to quality. All you need is to make a survey and list of the potential supplier that offers non-toxic decals. Applying the wall decals is as detailed as planning it. You need to be extra careful in this part since it might ruin the whole structure of the design. First, you need to clean the wall. Make sure to dry it up after wiping it with the damp cloth or else it won’t stick. Next, lay the decals on a flat surface and rub the credit card firmly to ensure that the decals still stick to the transfer tape. If the decal is large, you can seek help from others. Remove the back part of the decals and position it on the exact location where you will place it. Press it firmly to the wall. If you noticed the air bubbles, use the credit card again to flatten it. By doing this, you’re also making sure that the decal sticks on the wall. After you have flattened it, you can now remove the transfer tape. Peel it off slowly. Once you’re done, if you’ve found another set of air bubbles, use a clean cloth to flatten it but make sure to do it carefully. If you will follow this, it will make the decals last long. 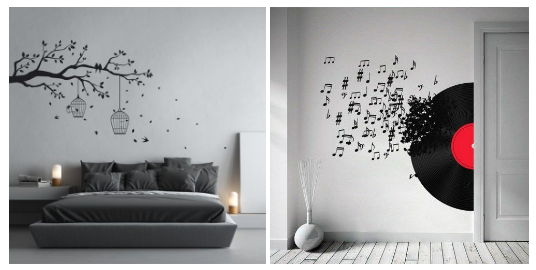 Give your dull walls a makeover using these decals. If you’re a kind of person who always wants to declutter her home, this decoration could be your new home improvement buddy. This is much easier than repainting your walls that takes a lot of time to get it done.